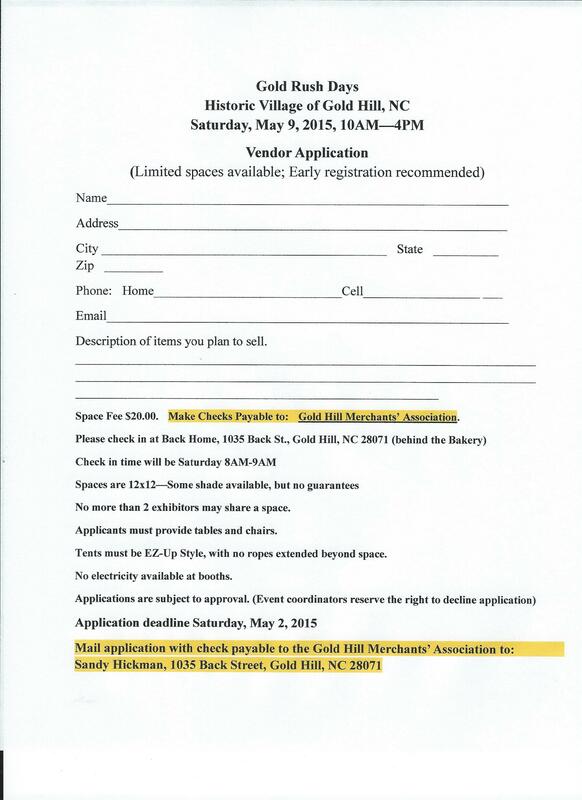 We are inviting vendors to join us for the Gold Rush Days in Historic Village of Gold Hill. It will be Saturday, May 9th 2015 from 10AM to 4PM. Click on the picture to print the application and return to us by May 2nd 2015.